Wear your mask 'cause things get rough! 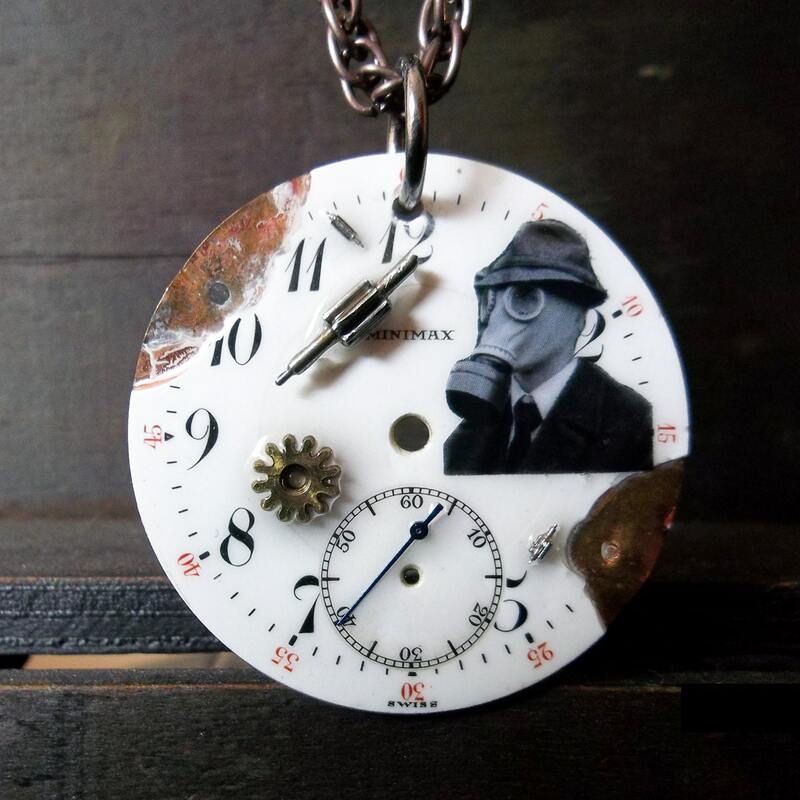 Absolutely wonderful shabby antique porcelain watch face slightly distressed due time embellished with clock parts and a gentleman wearing a gas mask!Beautiful copper tone metal chain,shinny beads and a black satin wavy ribbon complete this necklace..
p.s. additional resin at the back and frond to protect from damaging!! Folksy :: Buy "Be Happy Heart Vintage Bronze Locket Pendant Watch - FREE UK POSTAGE"